Can we visit your Kennels and training facility? But in video, it’s not fair to the dogs in training to have strangers coming in and out. Also we have over 200 training videos for you to see the property on our social media sites. what kind of training do you use? We use a "balanced" style of training, we teach your dog the meaning of yes and no. This is a more balanced method, where we are reinforcing positive behaviors and correcting behaviors that are unwanted. Many trainers only reward positive behaviors and ignore unwanted ones. The downside to this approach is it's confusing for the dog and takes them longer to figure out what we're asking for. By making training clear and concise, most dogs show remarkable change right away. are we the right trainer for you? Finding the right trainer can seem overwhelming. There are many different training methods and approaches but balanced dog training is results based. Even when other training methods failed for dogs with severe behavior issues we have seen our methods successful. Depending on your dog's behavior issue, you'll be given a set of rules to follow during and for a period after training has ended. To see the best results from your dog, you'll want to be as excited as we are to work together and trust in the steps we are working on to create change. More then likely, you'll be asked to limit the affection you give your dog, not allow your dog to free roam in the house and to spend a good time in the crate or in a command each day. For most dogs, this rigidity is temporary, but absolutely necessary for success. Can we see where our dog is staying? We allow clients in our training room and areas where we are training with you. We also send pictures and video updates to you during your dogs time with us. We don't have human clients in our kennels as all the dogs we are training have different issues and it is unfair to disrupt them with strangers coming and going. All our videos are filmed on property see our Facebook page for a look inside. This is a video we shot showing the progress of a rescued dog in rehabilitation with us. When a dog doesn't understand who their leader is it creates an unbalance in them and leads to the unwanted behaviors you will see in the first part of this video. Do you train dogs to be THERAPY dogs? We can get your dog ready to pass future tests to become a therapy dog. Our head trainer, Darlene, is certified to help you get your dog ready and test for the Canine Good Citizen Certification. We have tried other trainers will you be able to help us? If you've been told to euthanize your dog for behavior problems, or if you haven't seen successful, real life, results with other trainers, you would be among many of our clients. There's hope for all dogs! Even when other trainers have told you there is not. On a board and Train will my dog miss me or be damaged by me leaving him? No quite the opposite! Dogs very much live in the present moment. While your dog may have confusion at first they quickly take to a more structured lifestyle and learn to follow the lead of the training and the trainer. When your dog learns to look to you in all situations, they become more comfortable and calm in new situations and socializing with other dogs. No, a properly used prong or pressure collar communicates in a gentle way a language that the dog understands. Simply, the dog is taught pressure on means "no" pressure off means "yes." In this way the dog is following your lead by making their own choice. What happens if I don't see the results I want? Is there some sort of guarantee? Our # 1 goal is for you to feel successful with your dog. We want you to be empowered to continue your dog's training even after we finish working together. I always tell my clients that training is a lifestyle, not something that happens overnight. Dog's are living, breathing animals so they come with a lot of variables. For that reason, we can't "guarantee" results but we are 100% committed to you and your dog. I love my dogs sweet and fun side will training change my DOG'S personality? We have seen that training actually uncovers your dog's true personality. Many dogs are reacting from fear or having other unwanted behaviors that we are misinterpreting. Once your dog feels safe with your leadership, those behaviors subside, and your dog can relax knowing you have the situation handled. The E-Collar is an amazingly simple device that gives dog owners a safe and reliable way to control their dogs off leash. These are not the "shock collars" of yesterday, but engage multiple levels of stimulation for training and correction. Dogs are intelligent animals with a natural tendency to please their masters, but are also easily distracted by things around them. It can be difficult to get your dog's attention if they are distracted by children playing, another dog, or a rabbit running through the yard. 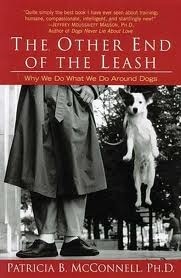 The Other End of the Leash: Why We Do What We Do Around Dogs.